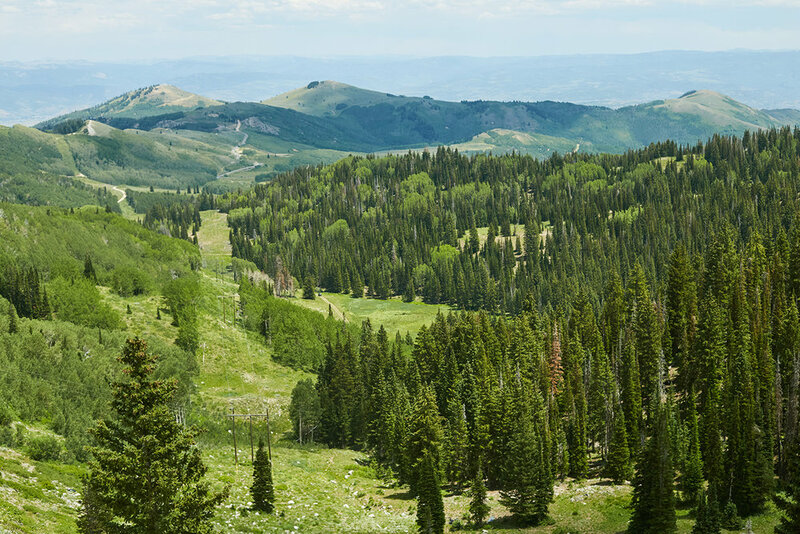 The beautiful Wasatch National Forest spans mountain ranges that border the eastern edge of Salt Lake City. 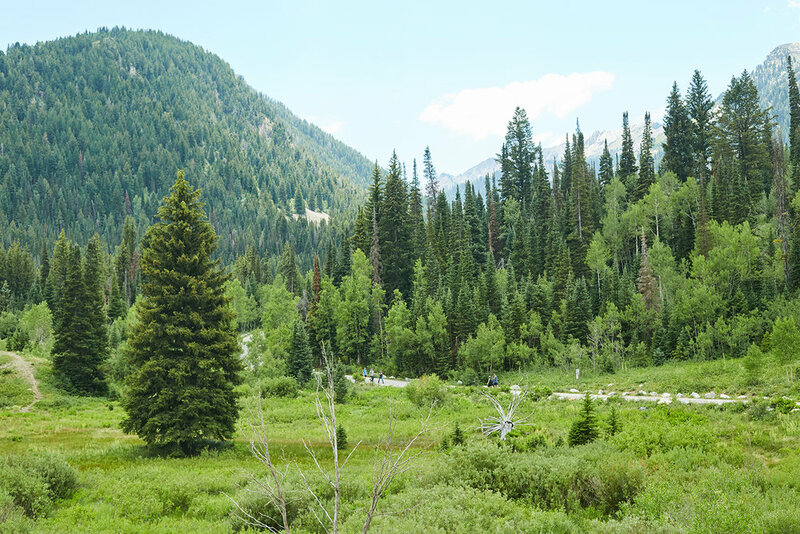 On our way to Park City we stopped in Big Cottonwood Canyon for a quick hike up to Donut Falls. 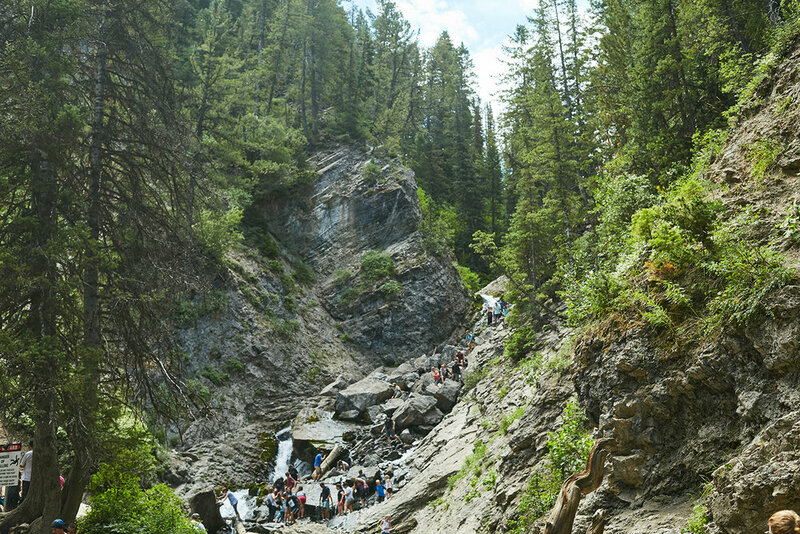 Families and children of all sizes waded through the shallow stream and climbed the rocks up to the "donut." I hopped along with the kids trying my hardest to avoid getting my shoes wet, but gave up and waddled through the clear creek all the way down. We finished hike (even saw a moose along the way!) and continued east. Along our scenic drive, we stopped to take a breath and look out to admire the most beautiful green mountaintops as far as the eye can see. On earth there is no heaven, but there sure are pieces of it.